Shut Up, Stand Still, & See the Salvation of the Lord! Hey ya'll! It's been a few weeks (give or take) since my last post but I have been super busy with work travel, family, etc... I was very intentional today to make sure that I carved out time to write this post. This blog is to encourage others but it's also an accountability tool for me. I made a committment when I started this blog that I would try and write a post at least once per week. I knew that I would not always meet the demand but I'm trying to be consistent. One of my personal flaws is that when I lose interest in something (or someone), I tend to cut it (or them) off. I am trying not to add my blog to my list of things I cut off because I lost interest. So here I am! Those words hit me like a ton of bricks but they were also very comforting. God wasn't saying that he wouldn't fix the situation, he just needed me to allow him to fix it. Sometimes we can get so caught up in our feelings and what we think that we totally remove God from the situation. I am learning (I'm not there yet...lol) how to back off and let the Lord work the situation out. I encourage you to do the same. What have you been so frustrated with that you failed to pray? What have you written off as impossible before consulting the Lord? 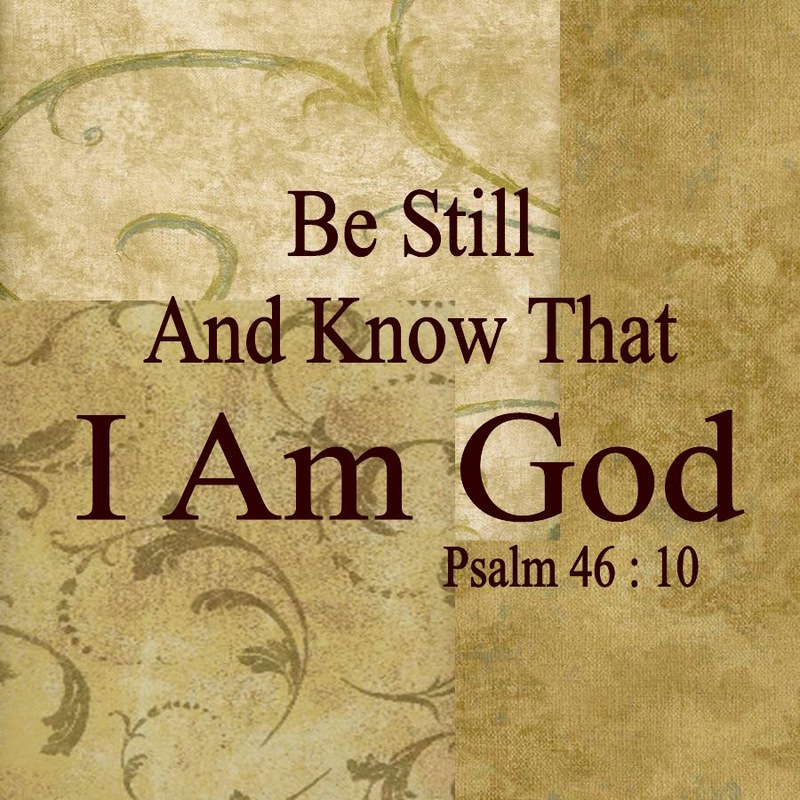 I dare you to join me in shutting up, standing still, and watching God work it out!